Published: August 29th, 2018 by admin. 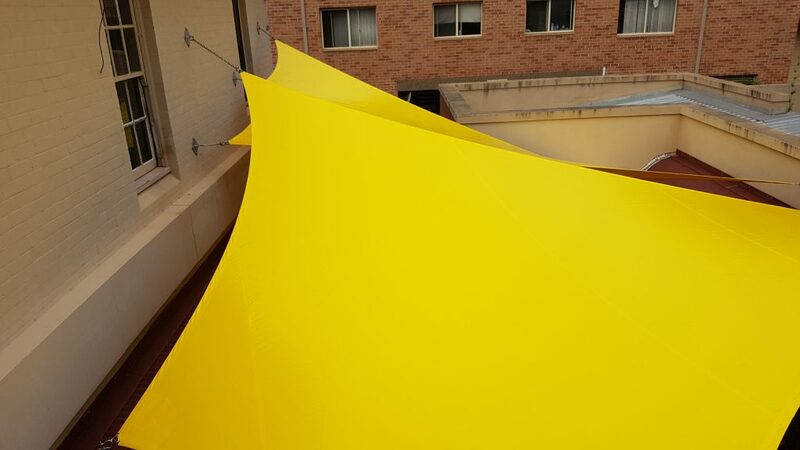 Filed in Shade Sails and tagged Cafes, Educational centres, Garden nurseries, Outdoor entertainment, Playgrounds, Restaurants, Shopping centres, Swimming pools. If you’re looking for a flexible and cost-effective shade solution, let me tell you that nothing beats shade sails. 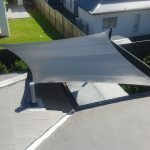 Shade sails are a flexible, aesthetically pleasing and practical product that can be found throughout Australia in both commercial and domestic applications. As the owner of Ashadya Shade Sails & Blinds, today I will share with you the top 7 best uses for shade sails. When you’re done reading this article, you’ll want to invest in a shade sail too! A popular use of shade sails is over a deck or patio to extend living areas to the outdoors. While you can use shade sails to create an outdoor entertainment area, shade sails also allow you to create a space with shade where you can appreciate the outdoors regardless of the weather. If you’d like to use shade sails in our outdoor entertainment areas, consider waterproof shade sails as they will allow you to use your area in all weather conditions. Another very common use of shade sails is in shopping centre car parks. Shade sails allow shopping centres to provide their valued customers with a covered parking space for their car while they shop. For the best results, car parks should use high-quality shade sails such as those we offer at Ashadya Shade Sails & Blinds. While our shade sails will provide high-URV protection, they will also protect cars from hail. It’s very common to see shade sails used in kindergartens, preschools and schools across Australia. That’s because we experience dangerously high levels of UV radiation and it is essential to protect young children from the sun’s rays. Ashadya Shade Sails & Blinds’ shade sails are specially manufactured to provide maximum UV protection. Our sails are designed to offer a UVR and UPF protection of up to 99% and are ideal for such an application. It’s not just children who need protection from the sun’s UV rays, but adults need it too. 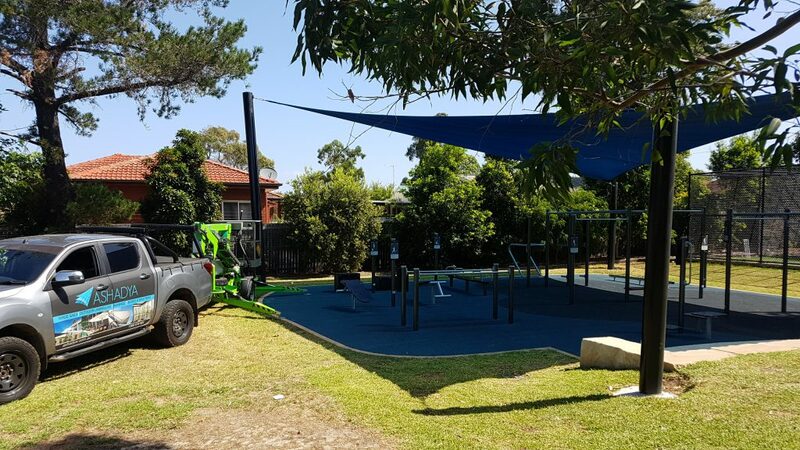 That’s why shade sails and shade structures are also commonly installed in parks and council playgrounds across Australia. Shade sails allow families to enjoy valuable time together outdoors without having to worry about harmful UV radiation. 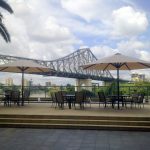 Using shade sails over the outdoor areas of cafes and restaurants allows business owners to expand their seating space. 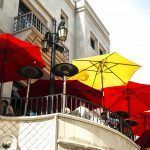 Because of this, café and restaurant owners often install waterproof shade sails to be able to serve customers all year round. While waterproof shade sails will stop the suns glare and keep guests shaded during summer, they also offer rain protection and allow outdoor seating in wet weather. 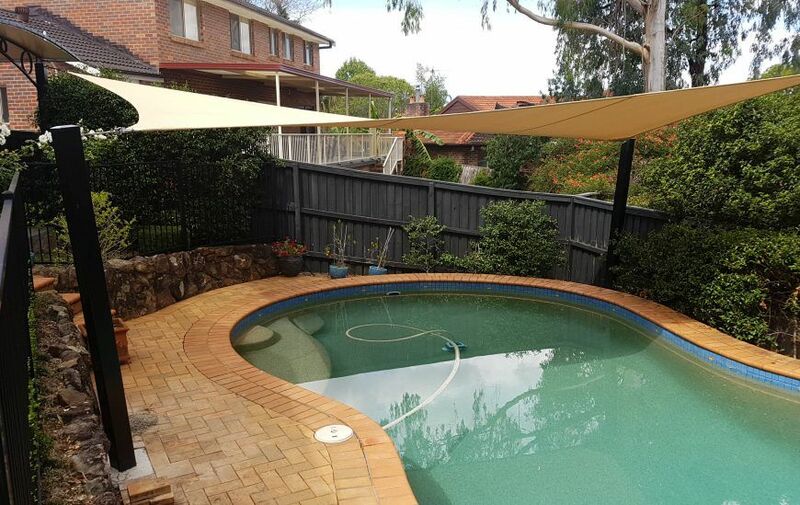 Installing a shade sail over swimming pools is one of the most common applications for shade sails in Australia. They offer a comfortable shaded area and allow people to spend hours in the pools without the worries of getting burnt. Additionally, they also protect pools from collecting debris which greatly reduces the pool maintenance requirements. Plants require sunshine to grow, but not all plants do well in full sunlight. Certain types of plants only thrive in indirect sunlight. For this reason, shade sails are used in garden nurseries and home gardens to protect such plants and allow them to grow. Shade sails are an immensely practical and versatile product that find use in several domestic and commercial applications. 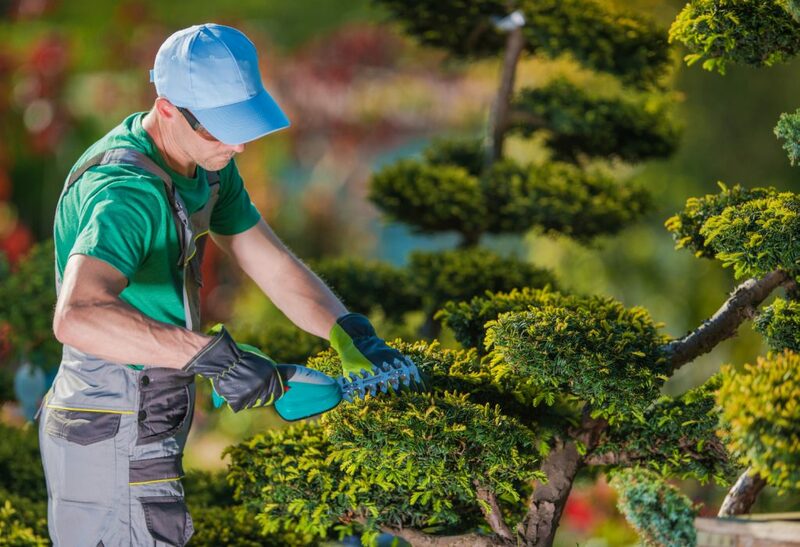 They are commonly used to provide shade in outdoor entertainment areas, shopping centre car parks, educational centres, cafes and restaurants, parks and council playgrounds, swimming pools and garden nurseries. If you’re convinced about shade sails and you’d like to invest in one, look no further than us at Ashadya Shade Sails & Blinds. 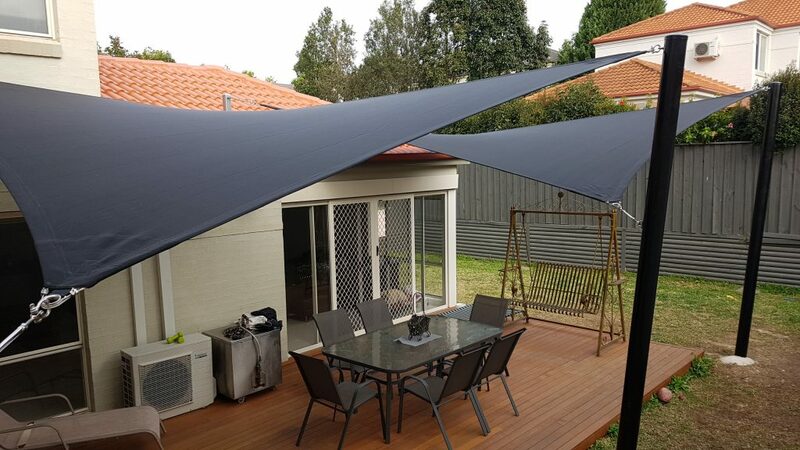 Call us at 1300 570 901 to get a quote on our custom made shade sails in Sydney today!